ELISE MEADER UNRAVELED: AN INTERVIEW. Elise Meader is a photographer of everything. 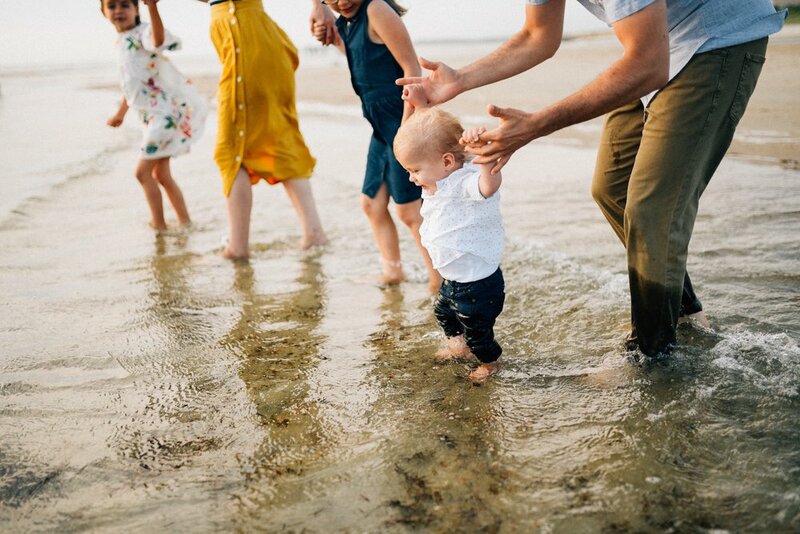 Located in Massachusetts, she photographs both life and love--- from weddings at Root & Bud Weddings to babies and families and everything good in between at Elise Meader Photography. She is amazingly talented, absurdly honest, and one of the better humans on this planet in our eyes. So, we needed to unravel her for you all in the following interview. Oh, and you can learn from her in our school, yo. What inspires your art? I'm most inspired by light and movement. Usually I'll feel inspired when I see these things before I even have my camera in hand. Once I've got that inspiration I run with it and every time I do, something different is created. How do you de-stress at the end of the day? I don't. Haha... having three crazy boys makes it tough but I usually sit on the couch and watch a show before I go to bed. That's about the extend of my de-stressing. And wine. Name one movie that inspires you. I'm much more of a movie person... but I can't say I'm necessarily inspired by movies when it comes to shooting. In life, good old Forest Gump is a forever favorite. How do you handle self-doubt or creative slumps? Self-doubt creeps up when you least expect it... but I always keep in mind that it will pass, this journey is ever-changing, and usually it's a sign to me to take a little break. Shoot my kids and be inspired from the root of it all and usually I'll get back on track. I constantly remind myself WHY I got into photography in the first place and it keeps me grounded and centered. What has been the most difficult part of your creative journey? The most difficult part of my creative journey was finding my voice. There were so many photographers that I looked to and admired, but I wasn't quite sure how I fit in. I constantly questioned my editing or shooting style and capabilities... lots of trial and error, lots of failure, but once it felt right I didn't look back. I don't question myself anymore. I just shoot what feels right, edit the way I believe works, and the rest falls into place. Who is one of your favorite photographers? One of my all time favorite photographers is Candice Zugich. I appreciate her unapologetic approach to life and photography. She is true to herself and I can't stress the importance of that enough. She is truly a creative and follows her heart. Those two things will bring you success, no doubt. If you are not already enrolled in our school, please consider doing so here. Elise shows us how she edits the following four images within the Pro-Editing-Video section of our school.